It was a real pleasure to sit on the judging panel for the UK’s first Best Practice Benchmarking Awards 2012, devised by the UK Benchmarking Institute in conjunction with The Best Practice Club and Ideas UK at the 2012 Ideas UK Conference on 8th November. France Telecom Orange and HSBC received awards for their outstanding benchmarking projects. HSBC, for its “When Social Media meets Business Strategy” project led by James Shewry, Best Place to Suggest Manager. “The Benchmarking Awards were set up to recognise examples of best practice in large organisations and raise awareness of benchmarking as THE most powerful business performance improvement technique around today. Successful benchmarking requires organisations to identify clearly what performance they want to improve, understand it fully and then select, adapt and implement the most appropriate best practice available. None of this is easy to do and many organisations have wasted lots of time, effort and money in benchmarking activities that have failed to deliver business benefits. Lack of awareness of how best to apply best practice is the root cause of this. Benchmarking in its broadest definition remains the most popular performance improvement tool, although this claim would include the simple act of comparing performance with another organisation through KPI’s rather than structured benchmarking. It was a pity that although interest was high there were no entrants from the built environment sector. Hopefully this will be corrected in 2013. Benchmarking remains an important business improvement tool for the sector, and as Paul Morrell commented recently, benchmarking should be driving construction costs. As our improvement, communication and sustainability agenda has widened considerably with topics not traditionally found in construction, for example, social value, Corporate Social Responsibility healthy materials and so on, it is arguably external benchmarking that will return maximum improvement to organisations and the industry. The Benchmarking Awards is a judged competition, celebrating outstanding benchmarking at individual project level. After all submissions were assessed, finalists were then selected and invited to present their submissions on the 8th November, at the Ideas UK Conference, where they were subjected to an in depth questioning process to explore the details of their benchmarking project. 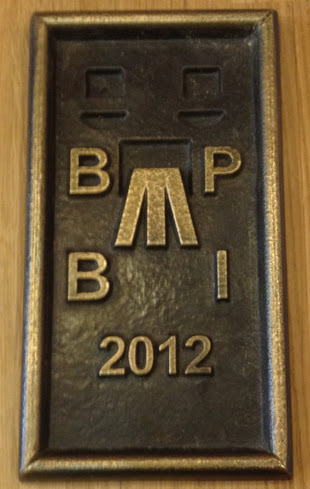 The 2013 Awards will open for submissions from March next year. The Benchmarking Institute consists of a wealth of unparalleled benchmarking experience. Check out the list of founding fellows and industries represented. If you are interested in dramatically improving your business, looking to gain far much more value from KPI’s or just curious of how benchmarking can help reduce costs, the Benchmarking Institute can help. Please do get in touch. This entry was posted in comment and tagged benchmarking, benchmarking institute, BPClub, business performance improvement, construction, Corporate Social Responsibility, france telecom orange, HSBC, kpis, Morrell, Orange, social media, trig point on November 25, 2012 by martin brown.